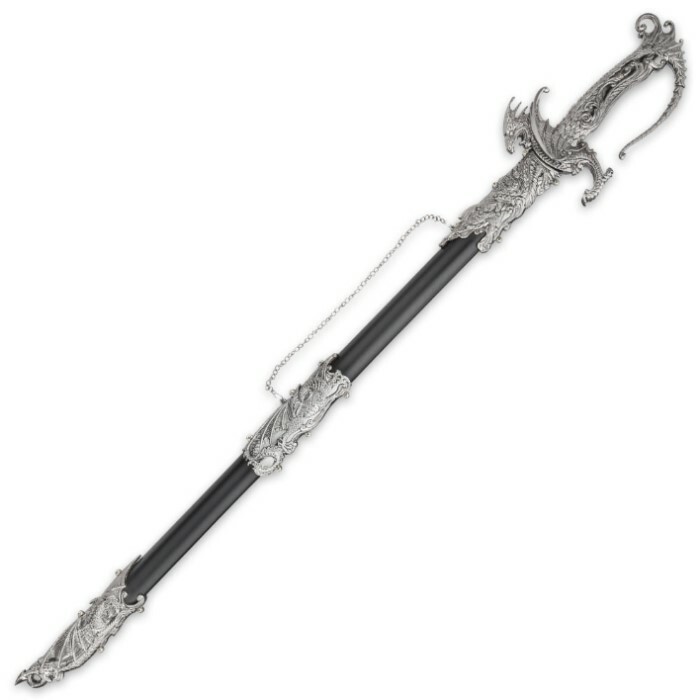 Rich with carefully designed details, you won’t find a more interesting display sword for your home or office! 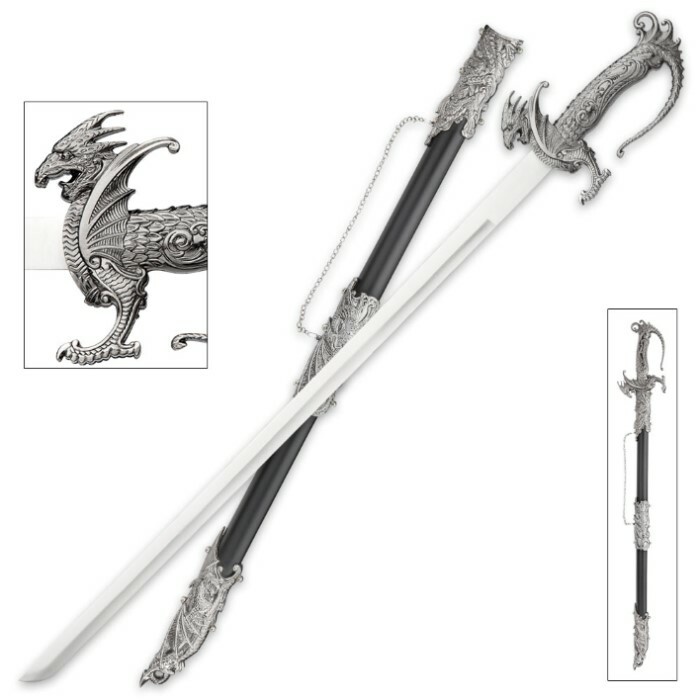 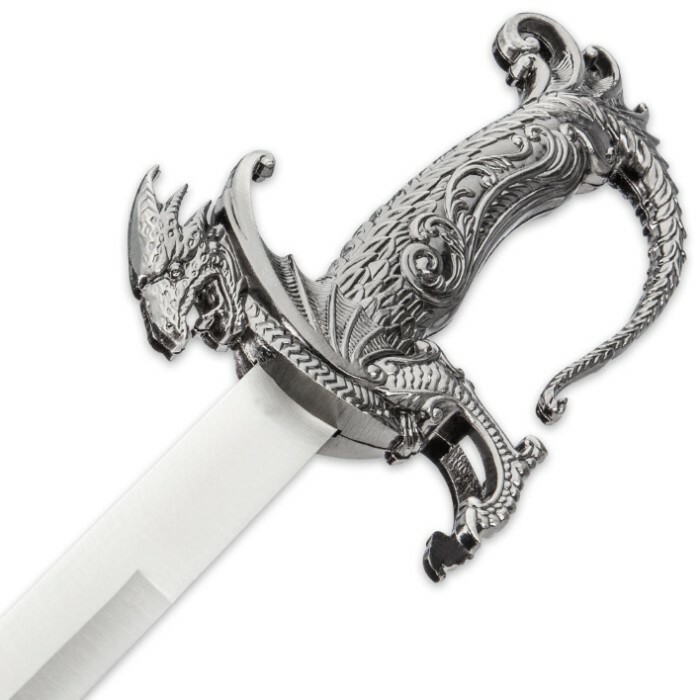 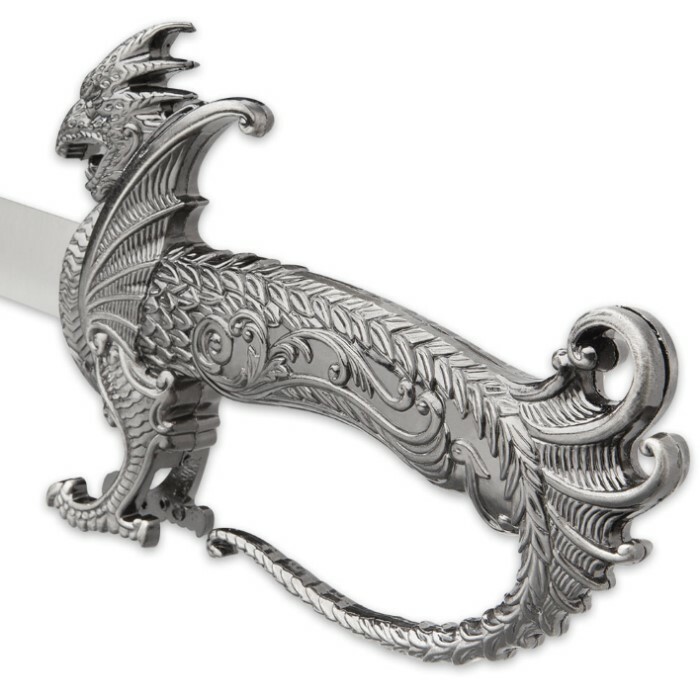 The Dreadfire Dragon Decorative Sword is a very unique looking piece that features a striking metal alloy handle intricately molded into the shape of a dragon, in profile, with the pommel curving into the dragon’s tail. 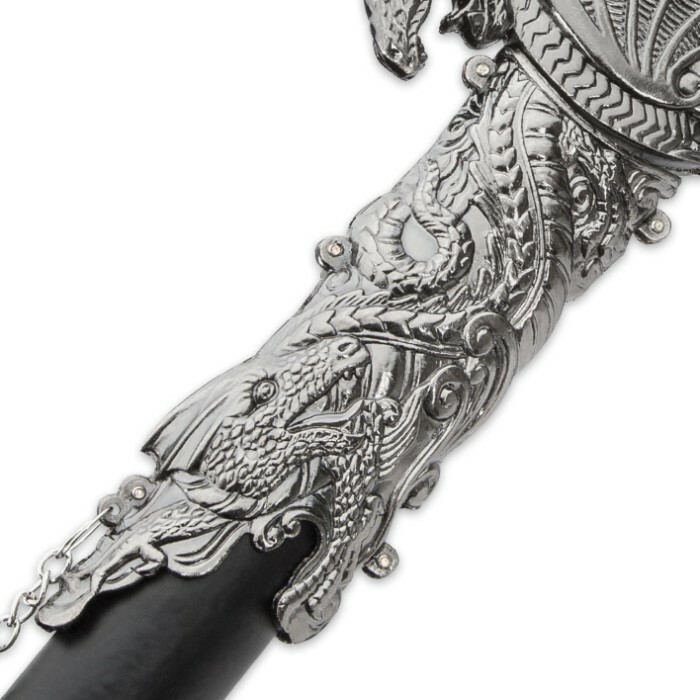 It has a 28” 420 stainless steel display blade with a satin finish which slides into a black composite sheath, accented with intricate metalwork to complement the intricate handle.